FILE INFO: Pattern is 7 pages long (the nitty gritty is over 4 pages), 2.1MB. Pattern is charted. 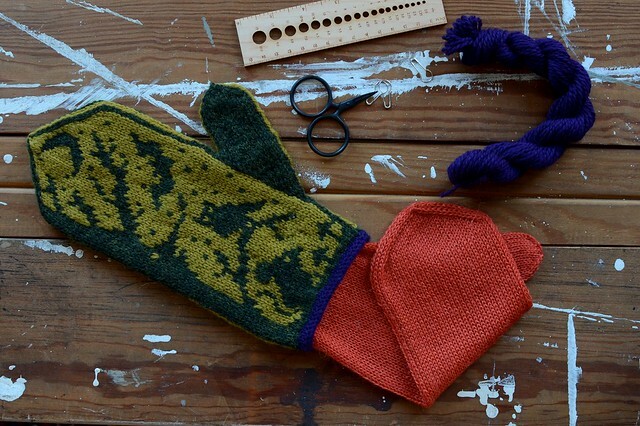 Yarn: Outer Mittens – Cascade 220 Sport, 50g/164 yards (150m), MC – 1 skein, CC – 1 skein, TC – 20 yards. Lining – Knit One Crochet Two Cria Lace, 100g/522 yards (507m), 1 skein. See Notes for further yarn discussion. Needles: Size 2 (3, 4, 5) US, 2.75 (3.25, 3.5, 3.75) mm, or size needed to get gauge. 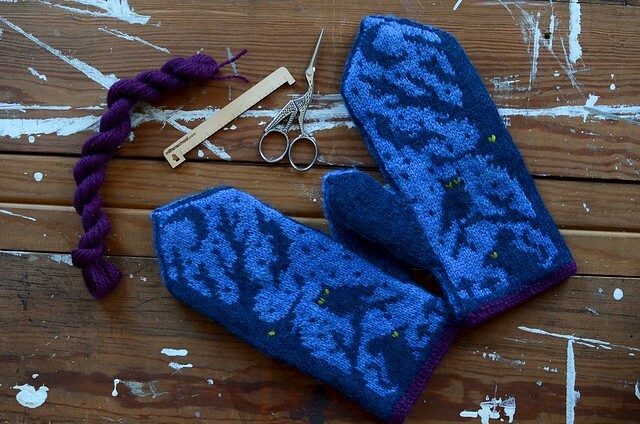 Pattern may be knit on double points, a long circular for magic loop, or on 2 circulars. Finished mitten size is determined by gauge/needle. Actual Measurements: 8.75” (9.25”, 9.75”, 10”) circumference and 9.75” (10”, 10.24”, 10.5”) long. To Fit: Unlined – Choose a size that’s at least 1/2” larger than the circumference of your hand, measured around the palm, not including the thumb. When in doubt, go larger. Lined – Choose the size about 1” larger than the circumference of your hand. When in doubt, go larger. 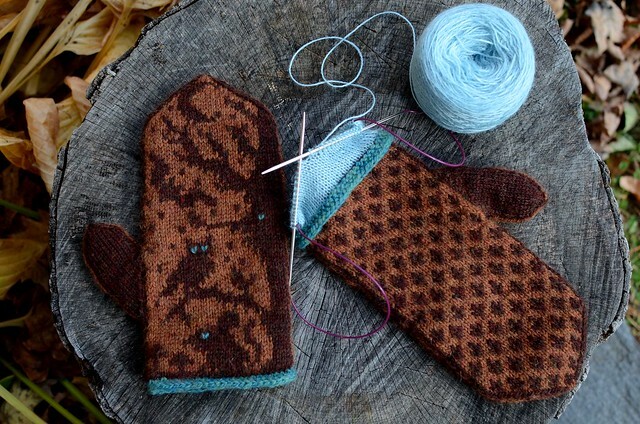 Outer Mitten Gauge: 27 (26, 25, 24) stitches and 33 (32, 31, 30) rounds per 4” 10cm in pattern. See Notes for more info. 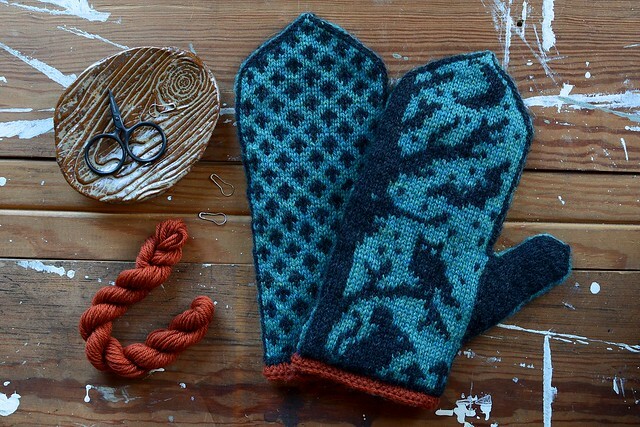 Visit Ravelry for more information and to see projects.